Apple has announced that the iPhone 5 will officially launch in a significant number of countries on Friday December 14th. Including the following Middle Eastern countries: Saudi Arabia, United Arab Emirates, Bahrain, Jordan, Kuwait and Qatar. Egypt, Morocco, Tunisia and others will get it Friday December 21st. As far as we know only Zain Saudi Arabia will support 4G LTE on the iPhone 5. CUPERTINO, Californiaâ€”December 3, 2012â€”AppleÂ® today announced iPhoneÂ® 5 will be available in South Korea on Friday, December 7, with more than 50 additional countries being added in December, including Brazil, Russia and Taiwan. iPhone 5 is the thinnest and lightest iPhone ever, completely redesigned to feature a stunning new 4-inch Retinaâ„¢ display; an Apple-designed A6 chip for blazing fast performance; and ultrafast wireless â€”all while delivering even better battery life. iPhone 5 is currently available in 47 countries around the world including the US, Australia, Canada, France, Germany, Hong Kong, Japan and the UK. iPhone 5 comes with iOS 6, the worldâ€™s most advanced mobile operating system with over 200 new features including: Shared Photo Streams, Facebook integration, all-new Maps app, PassbookÂ® organization and even more SiriÂ® features and languages. 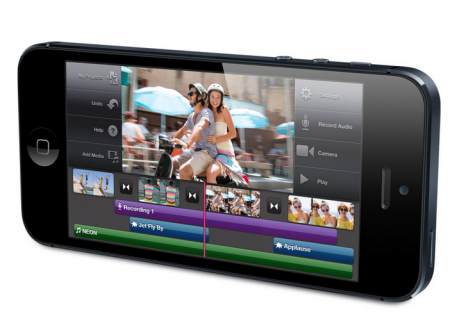 iPhone 5 comes in either black & slate or white & silver for a suggested retail price of $199 (US) for the 16GB model, $299 (US) for the 32GB model and $399 (US) for the 64GB model. iPhone 5 will be available through the Apple Online Store (www.apple.com), Appleâ€™s retail stores and select Apple Authorized Resellers. Any idea what the pricing of iPhone 5 in SAR will be for 16,32,64 GB Models?